To celebrate her Birthday Month and the New Year, The Fashionista Commuter is giving away some Fashionista Essentials to one of her lucky followers! A jar of L'Oreal White Perfect! Like Anagon, I love L'Oreal Paris Philippines 50X50! 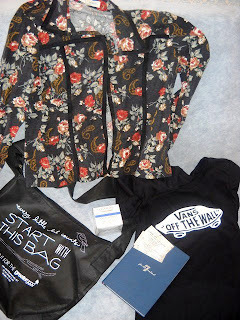 That floral jacket is really cute, great blog! happy new year! cool shades for the win!